In 2004, we planted a Japanese maple for a client. “I don’t know,” he said. “What if that tree gets too big for the space? Fast forward to this past fall. Take a look at the photos. With the tree situated against the house, there was not enough room to wheel in a mechanical digger. In addition, this maple had more surface roots than deep roots. A machine digger would’ve sliced off the surface roots as it knifed through the ground. 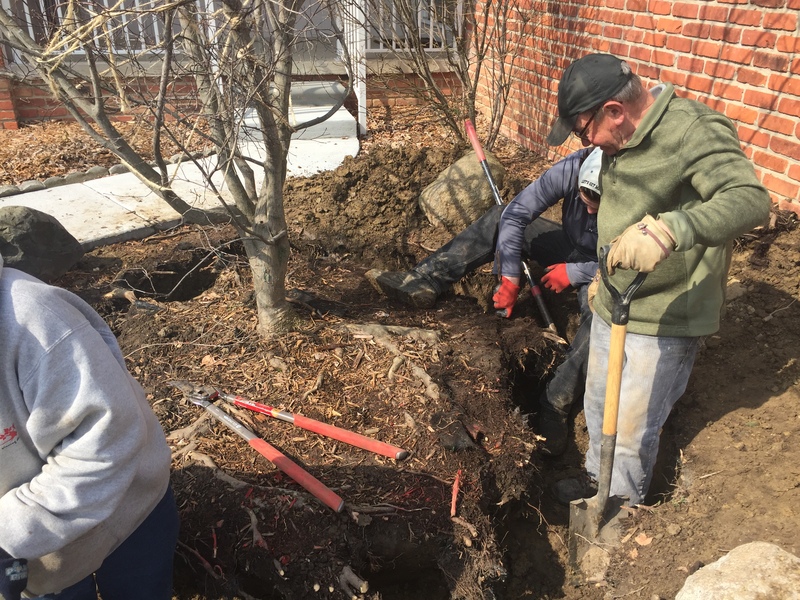 Because we were determined to save this tree, we had to dig out wide to preserve that precious root growth. It’s time consuming and back-breaking to dig by hand but here at Bundschuh, we keep our promises. We dug out wide to save the major roots, and trimmed back the lesser roots to form a manageable root ball. After two days of steady digging, we had that tree’s root ball wrapped in burlap and we pulled it from the ground. The date? April 13. We don’t do hand-digs on a regular basis. This is definitely not a production line operation. 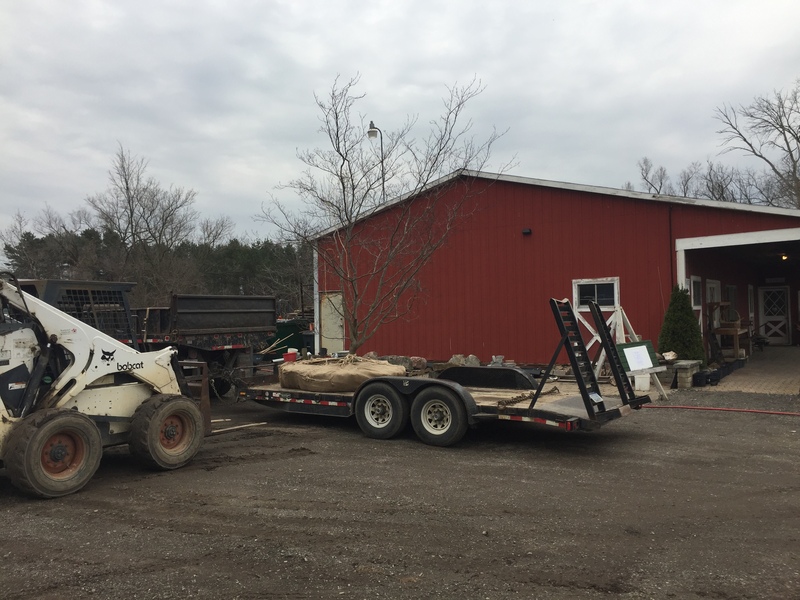 However, if you have want to move a smaller tree after it leafs out in the summer (FYI- not the best time to move a tree), you can move it as we did. Make certain to dig out wide and save those surface roots. You cut the surface roots short and you’ll destroy the plant’s circulatory system. End result – lots of work and one dead tree. Get some help, maybe bribe a couple high school kids with pizza, because the root ball will be bigger than you anticipated. Planting tip: Make sure you let the tree sit for a few days to harden off before you replant. Once you replant, water it. A lot. Daily. Get a soaker hose and let it do its thing. Bundschuh Landscape Center. Blending design and vision since 1949.